What Is 925 Sterling Silver? What Materials Is Your Jewelry Made Of? Is It Possible To Reveal The Same Jewelry Twice? Can I Choose My Ring Size? Can I Choose My Jewelry Design? Does The Jewelry In The Product Photo Come With The Product? Will My Ring Turn My Finger Green? 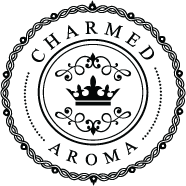 The fun and surprise of Charmed Aroma is not knowing what unique piece of jewelry you will unveil. While you can’t pick your jewelry, we can wish you good luck and good vibes on your reveal!